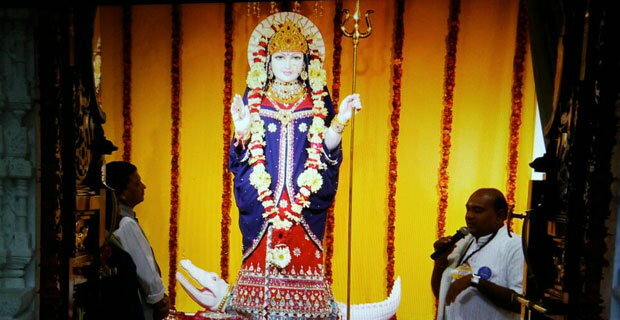 Rajkot: Amid presence of lakhs of members of Leuva Patel community, a grand new temple of Goddess Khodal was inaugurated today just before the sunrise with first Maha aarti and hoisting of religious flag marking culmination of Pran pratishtha ceremony. 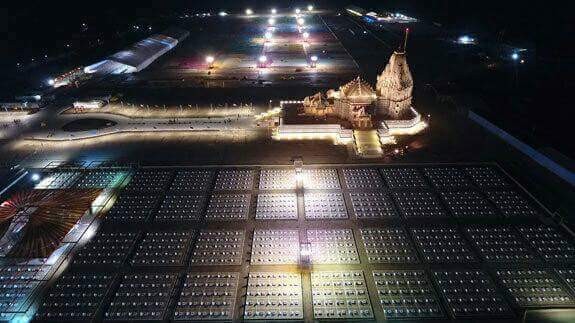 The grand temple has been built by Shri Khodaldham Trust, a Rajkot headquartered organisation of Leuva Patel community led by Naresh Patel. The temple has been built at Kagvad village located about 60 km away from Rajkot in Saurashtra region of Gujarat. The temple in its structure resembles with Shri Somnath Mandir in Saurashtra region. Its height has been kept 10 ft lower than Somnath temple to respect the supremacy of Mahadev. Khodal or Khodiar is considered chief deity or patron deity of Leuva Patel community. 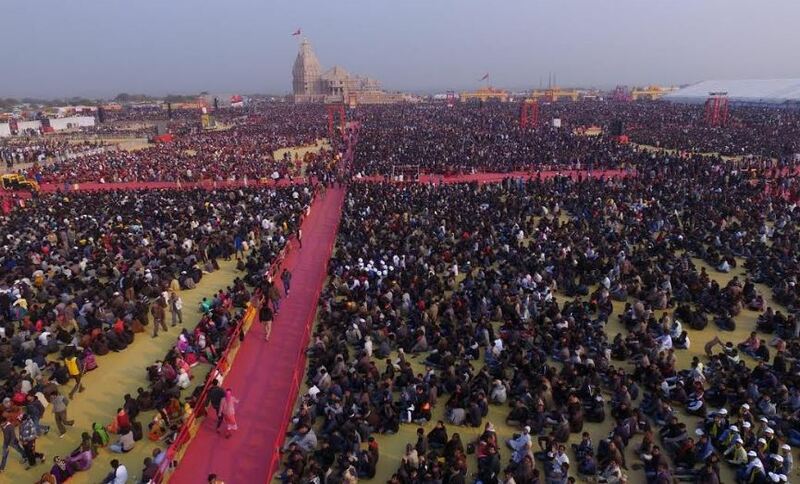 Foundation stone for Khodaldham temple was laid in year 2012. State BJP president Jitubhai Vaghani, Vishwa Hindu Parishad’s Pravin Togadia, former Chief Minister Keshubhai Patel, union minister Mansukh Mandavia, former Chief Minister Anandiben Patel, former union minister Praful Patel, Porbandar MP Vitthal Radadia and his son Jayesh Radadia who is minister of state in Gujarat government are among those present in the function. A 52 gajj religious flag was hoisted atop the temple with the use of technology on golden flagpole. During the first Maha aarti at this temple, participants flashed torch lights through their mobile phones. Among 21 murtis that are installed today are murtis of Khodal, Ganesh, Hanuman, Ram-Sita, Radha-Krishna, Gel, Harsiddhi, Mahakali, Momai, Nagbai, Sihori, Randal, Chamunda, Ambaji, Verai, Ashapura, Bauhchar, But Bhavani, Gatral, Brahmani and Annapurna. Nationalists to the core, Leuva Patels have hoisted Indian tricolor at the Khodaldham venue and have sung Indian national anthem in mass to set a record during the ceremony. Meanwhile Khodaldham Trust’s Naresh Patel was elevated as Chairman of Trustees of Khodaldham Trust while Paresh Gajera replaced Naresh Patel as President of the trust.